SuretyGroup.com writes Payment & Performance bonds for the construction industry. There’s a big state construction project coming up, and you want to bid on the job. You submit your bid and back it up with a Bid Bond. That tells the state that you mean business, and you have every intention to follow through on the project for your bid price and deadline. If your bid is accepted, as the winning bidder, the state will require you to have a Performance and Payment Bond. This bond ensures that you meet the terms of the contract, and establishes a three-way legal contract beginning with the state, or “obligee.” As the contractor, or “principal,” you are the second entity involved in the bond, and you must honor your obligation to do the job correctly, on budget and on time. An insurance company, or “surety,” is the third party involved in the bonding process. The best way to obtain a Performance and Payment Bond is to contact an insurance agency specializing in surety bonds, such as SuretyGroup.com. The agency can be held liable if you do not do your job, so they will evaluate all risk factors before issuing a bond. If you land a federal contract, the Miller Act states that you will need a surety bond if the project is over $100,000. In 1994, Congress created the Federal Acquisition Streamlining Act, which excludes federal contracts under $100,000 from mandated bond requirements. The Little Miller Acts are based on the federal Miller Act. These laws require that state government construction projects include performance and payment bonds. Each state’s Little Miller Act has different requirements for the sizes of contracts that require bonds. The owner of a private construction project can decide if he wants bonds to guarantee the work. No matter how big or how small your project, or whether it’s on the private, city or federal level, Suretygroup.com can help you get the bonds you need. Give us a call at 1‑844‑432‑6637. Your bond should be issued within 24 hours. Any questions? We’re here to help. Great blog! 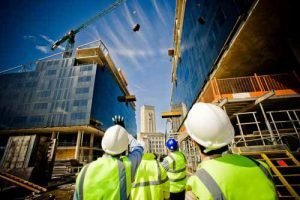 What types of bonds are required by the contractor at what time matter a lot and every contractor should be aware of this.